Free Shipping For All Orders Over $99! Bullbar Australian Beef Jerky is made from 100% Australian premium beef and marinated in our special ingredients, creating a tender, delicious and healthy snack. 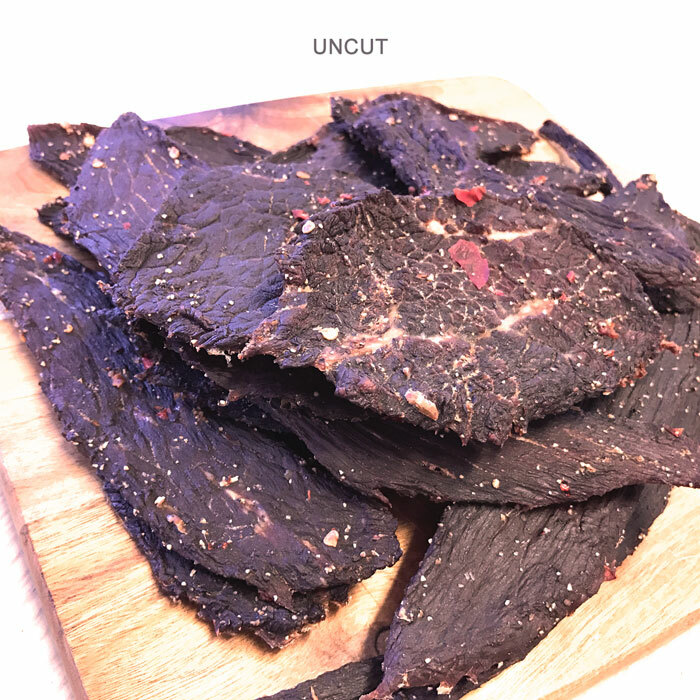 Our jerky does not contain any artificial flavouring, colours, preservatives or added sugar and it is low in fat and high in protein, making it a delicious and healthy snack or gift. Our jerkys are now gluten-free! Don’t know which flavour to choose? Why not order our Taster Pack – all 4 flavours, 50g each, all for only $19! 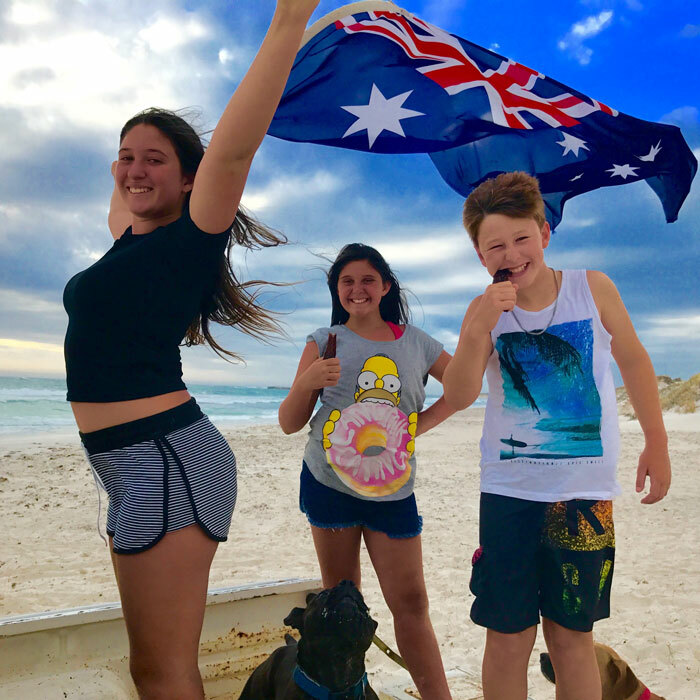 Bush Chook **NEW** – Bullbar’s Latest Product – This flavour was established by one of our curious owners who decided to combine two of his greatest loves, beer and beef. 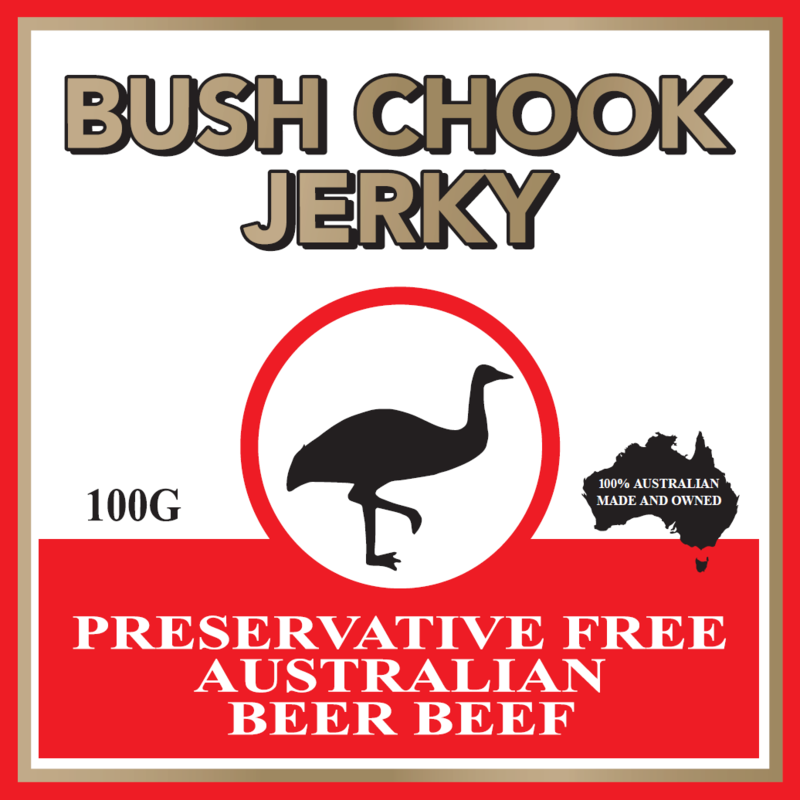 Bush Chook has been crafted using Australian beef and marinaded in the finest quality ingredients, including emu export larger. 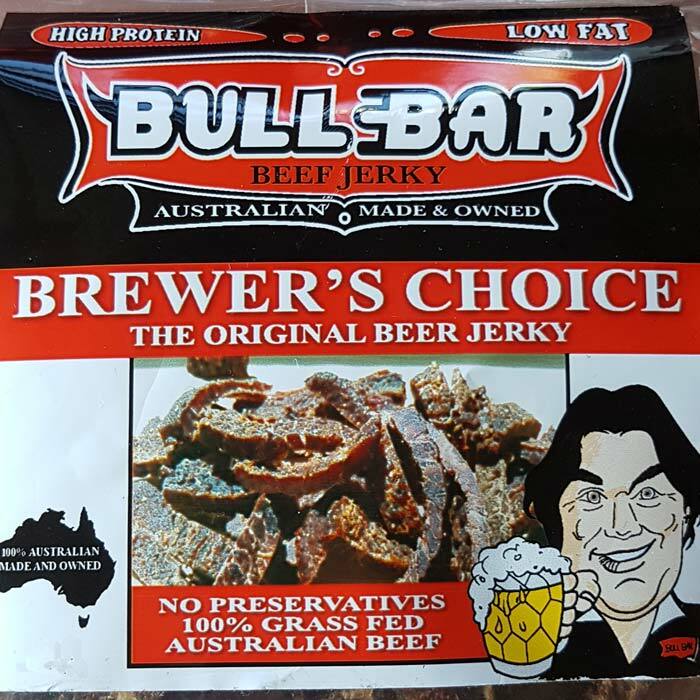 Brewer’s Choice – Bullbar’s Latest Product – Succulent mouth-watering BEER beef jerky tastes amazing! Combining the highest quality Australian beef marinated with our secret ingredients including just the right amount of beer. It tastes so good that it’s flying off the shelves and is a perfect addition to our other popular flavours. 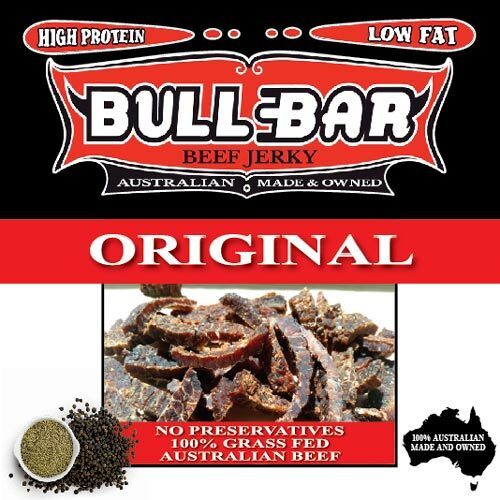 Original – Mouth watering and delicious mild flavoured beef with a hint of cracked black pepper. 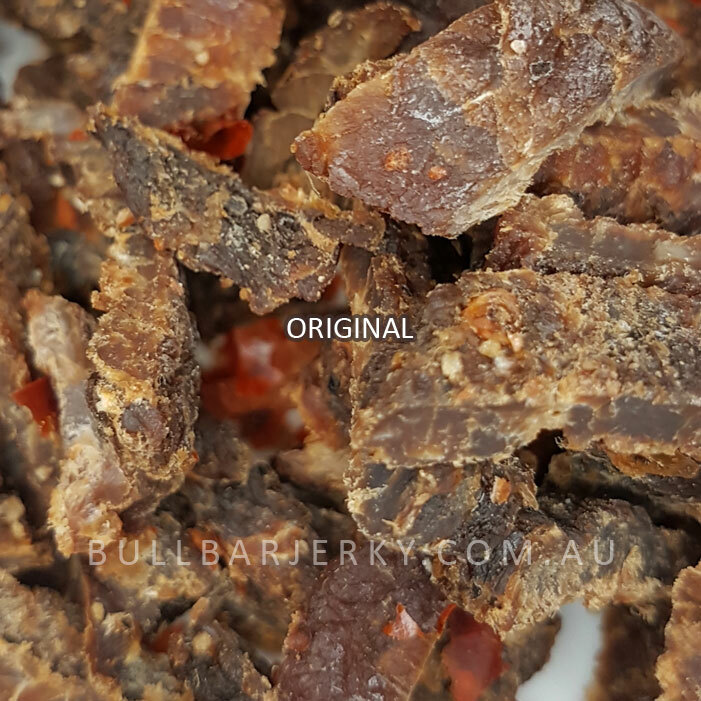 Beef Jerky Original is highly addictive, perfect for all taste buds and will have you coming back for more. The perfect energy food for everyone, and a healthy snack for every occasion. 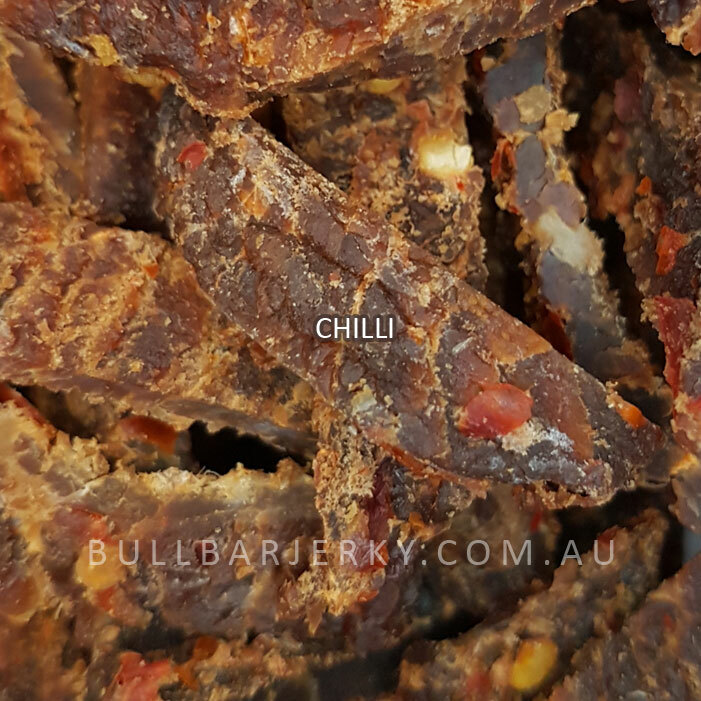 Chilli – The Chilli flavour brings excitement to your taste buds, enhancing the natural and succulent flavours of our Beef Jerky with a fusion of heat & richness from our high-quality chillies. 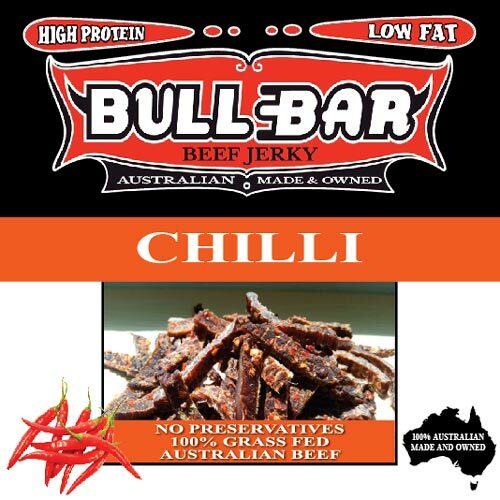 Warning, our Chilli Beef Jerky is our number one product sold across Australia, it is simply delicious! 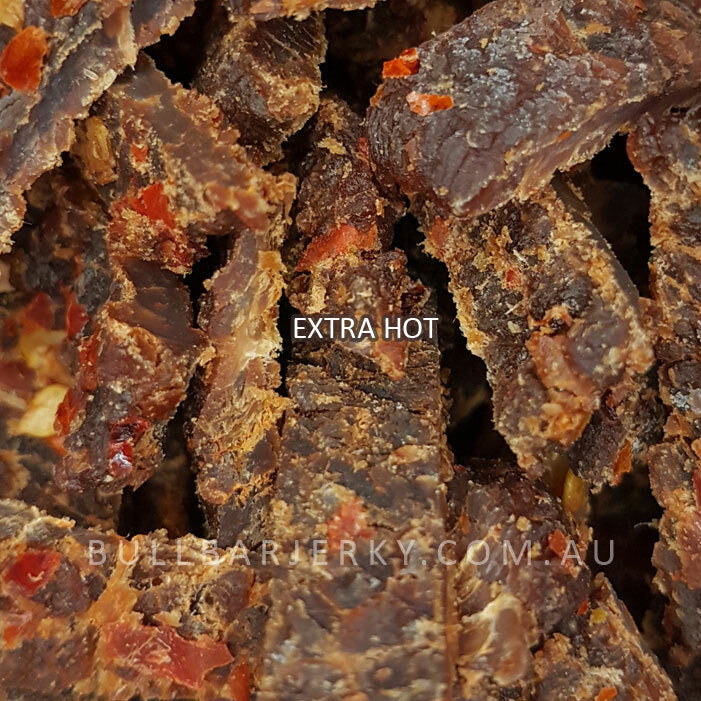 Extra Hot – If you desire that extra hot beef jerky and you found our Chilli flavour was just too much of a tease, then Extra Hot has been made especially for you. 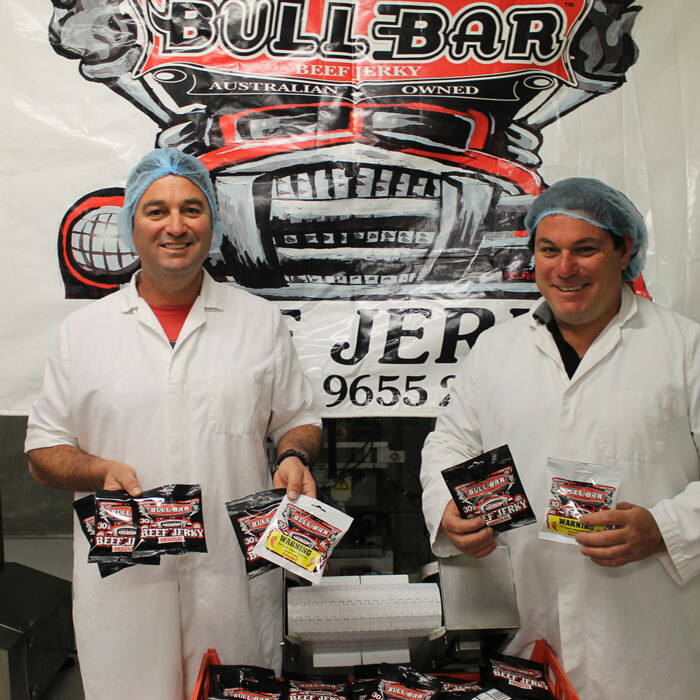 Highest quality Beef Jerky fused with the world’s hottest chillies. The bigger the size, the more you save! Prices ranging from $83/kg to $99/kg depending on size. Free Shipping For Orders Over $99!